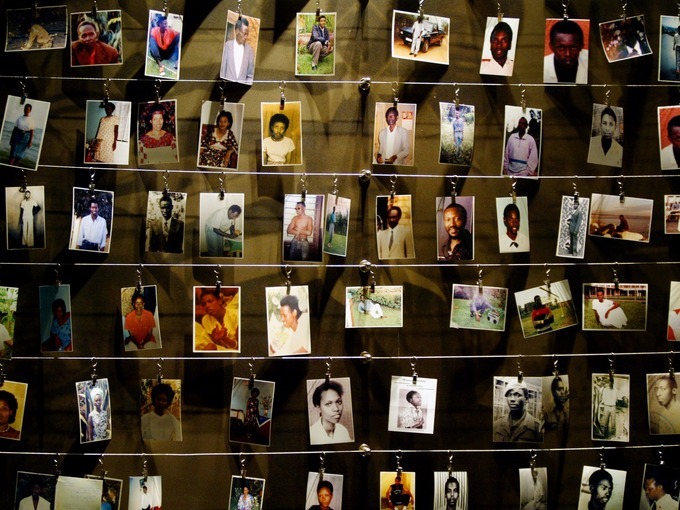 More than any nation, Rwanda is still haunted by a malign past. That can be no surprise. An estimated 800,000 people died in the genocide of 1994. The country’s Hutu majority, whipped into a frenzy of hatred by their leaders, sought to eradicate the Tutsi minority. Armed with machetes, they killed at a rate faster even than the Nazis. For twenty one years, one of the leading figures of that blood-soaked time has barely spoken of his role. Memorials around the country stand as a reminder of the massacre. Jean Kambanda was the Prime Minister during one hundred days of almost unimaginable horror. 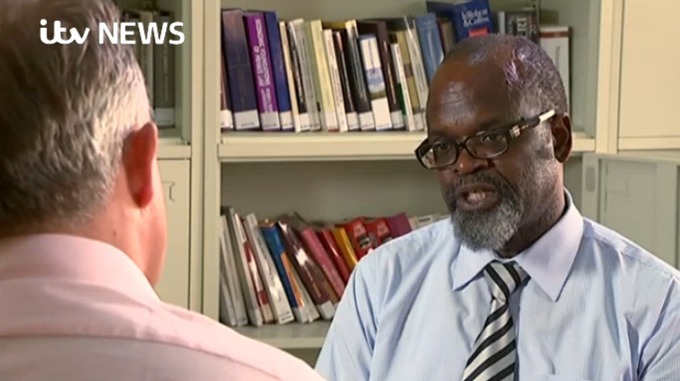 Now from his high security prison cell in Mali he has given ITV News his first interview. He claims, despite his conviction by a UN tribunal for crimes against humanity, that he is innocent after all. He claims he was effectively tricked into confessing; that at his trial he was denied a lawyer of his choice. We also travelled to Rwanda and spoke to a witness of one of the many atrocities perpetrated during Kambanda’s period in power. You can decide for yourself which version of history you think is more credible. 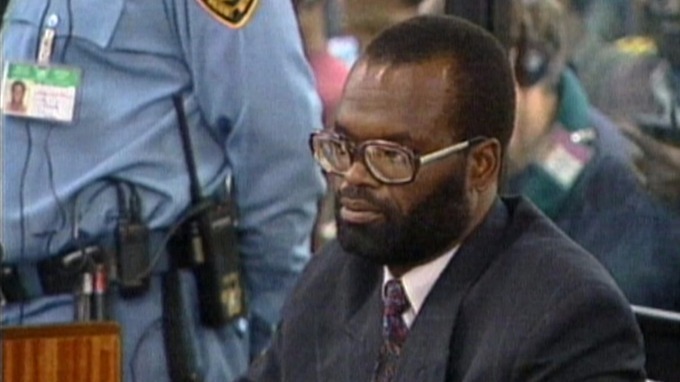 Kambanda was given a life sentence after confessing to crimes against humanity at a UN tribunal in 1998. But the problem with Rwanda is that history cannot be consigned to the past; try as the modern Tutsi-led government of Paul Kagame might. Great economic and social progress is widely acknowledged. The government claims it has healed the lethal ethnic divide. But what of its record on human rights? The verdict of, among others, Human Rights Watch is damming. 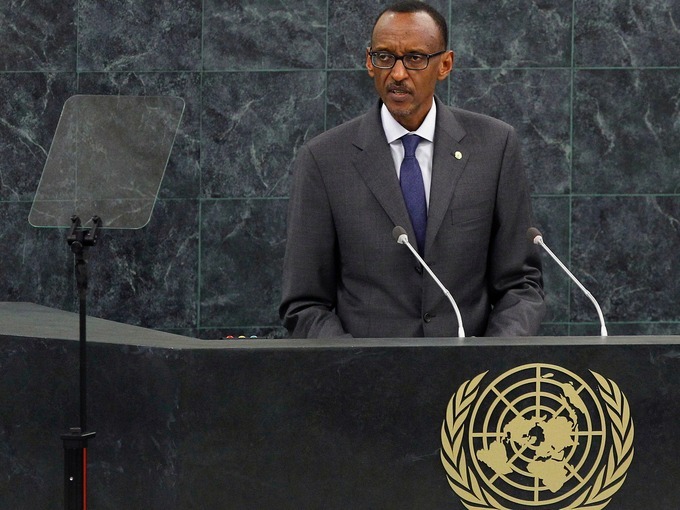 Rwanda, it says, “imposes severe restrictions on freedom of expression and does not tolerate dissent”. Last month in London, the head of Rwanda’s intelligence services, Emmanuel Karenzi Karake, appeared in court. He is fighting extradition to Spain where he faces allegations relating to crimes against humanity. 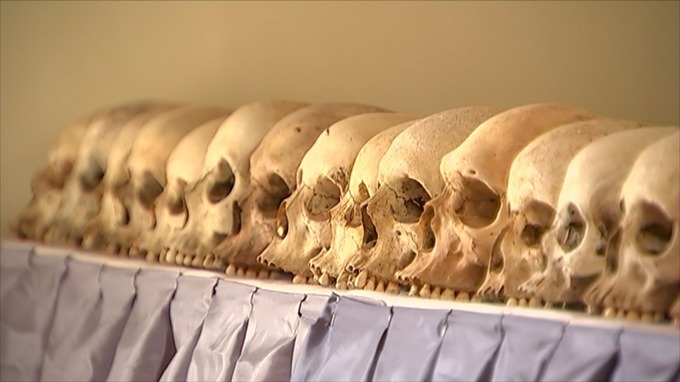 The story, denied by the Rwandan authorities, is that many unarmed Hutu civilians were the victims of revenge killings by the advancing Tutsi army in the wake of the genocide. Meanwhile, against opposition of his backers in the west, Paul Kagame is now thought to be considering changing the constitution to seek a third term in office. 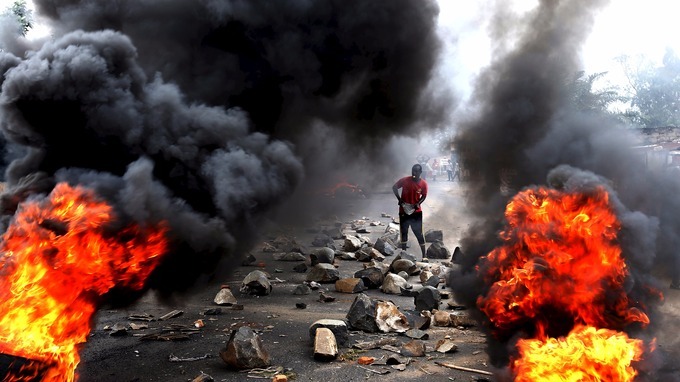 In neighbouring Burundi, beset by the same ethnic split, the same decision by the serving president has set off weeks of violence and strife. So when Kambanda tells us that in Rwanda dangerous divisions between Hutu and Tutsi remain and that the country is “like a volcano that will one day expode again’’ here at least he is not simply trying to re-write history, but to point out the real perils that persist. Previous Kagame nahindura ingingo y’101 mu nyungu ze bwite : Tuzahamagaza Urukiko rwa rubanda rumucire urubanza ! Next Ingoyi ni umwe mu mihigo y’ubutegetsi bwa Pahulo Kagame: Umutegarugori yaboshywe na DASSO!